Prime Minister Binyamin Netanyahu thanked former British Prime Minister Tony Blair for his service in the Middle East Peace Quartet on Wednesday night, after Blair announced his resignation. 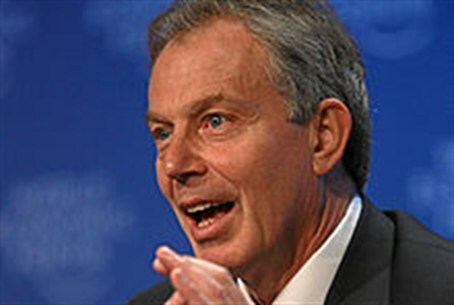 "In recent years, Tony Blair has made great efforts to advance stability and peace in the region," Netanyahu stated. "His deep understanding of the Middle East helped him to develop a reliable network of contacts with heads of state in the region." "Tony Blair worked to advance important economic projects between Israel and the Palestinian Authority," he continued. "Many times his understanding helped him to bridge gaps between the positions of the sides in the region including in times of crisis." Blair has handed in a letter of resignation to UN Secretary-General Ban Ki-Moon, his spokeswoman said Wednesday, after eight years of serving in the unpaid position. The spokeswoman added that he would continue to work toward a "two-state solution" informally.